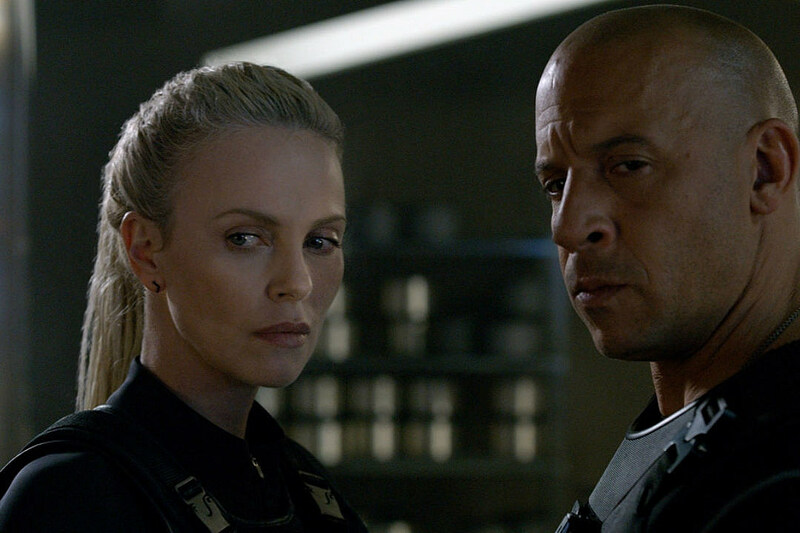 The big story this week was always going to be The Fate of the Furious, which dominated the weekend with $100 million in first place. To put that in perspective, that’s nearly double the combined gross of every other title on the Top 10 list. While those domestic numbers would be enough to keep the folks at Universal Pictures happy, the film did even better at the international box office, breaking $532 million and dethroning Star Wars: The Force Awakens as the highest-grossing international opening of all time. If you watched the film and wondered how the crew could afford to shut down Times Square to shoot a movie? Yeah, that’s what a half-billion dollars at the box office will get you. Domestically, the film should end up somewhere in the mid-$200 million range, but internationally? We’re in uncharted territory, folks. The other big jump this week came with Gifted in sixth place, which grossed $3 million after it expanded by over a thousand theaters. No, that +572% in the “Weekend” column isn’t a typo; that’s what happens when a distributor decides to aggressively roll out a movie as counter-programming during a weekend focused on families. That’s the good news; here’s the bad. With a budget estimated at about $7 million, Gifted still has a ways to go before it breaks even at the box office. With Captain America himself in a lead role, Fox Searchlight was probably hoping they had a bigger hit on their hands. The rest of this week’s Top 10 is a mix of familiar faces. Once again, The Boss Baby and Beauty and the Beast held near the top, grossing $15.5 million and $13.6 million in second and third place, respectively. This was a particularly eventful week for the latter film, as Beauty and the Beast officially broke $1 billion dollars — that’s billion with a ‘b’ — at the international box office. That film should overtake Avengers: Age of Ultron in the next few days to crack the Top 5 highest-grossing Disney movies of all time, a staggering feat for the live-action remake of an animated classic. And as for The Boss Baby? A bigger drop in its third week means it’ll probably end up in the middle of the DreamWorks Animation pack, but that’s still a lot of money for one joke about a baby in a suit. Smurfs: The Lost Village laid claim to fourth place this week with $6.5 million, which brings the film’s total to $24 million domestically. Of course, those numbers don’t tell the entire story: Smurfs: The Lost Village has already grossed $70 million internationally, suggesting that our little blue friends will continue to smurf out sequels until the foreign grosses sour. Going in Style followed just behind in fifth place with $6.3 million, bringing its domestic total to $23 million and suggesting that the film will be a modest earner for New Line when all is said and done. Last week I suggested that Get Out was probably enjoying its final week in the Top 10, but not only did the movie stay on the list, it actually gained a spot, earning $2.9 million in seventh place. Get Out also hit a milestone this past week, becoming the highest-grossing movie ever by a black filmmaker by beating F. Gary Gray and Straight Outta Compton. I’ve underestimated Get Out for the very last time. In eighth place is Power Rangers with $2.8 million, bringing its domestic gross to $80 million, still shy of that $100 million budget. As with most movies of this ilk, the domestic numbers will probably be the deciding factor in whether Lionsgate treats Power Rangers as a full-blown franchise or a one-off experiment. The last two films on this list take a very different approach to a man of reason trying to prove the existence of the unseen, with The Case for Christ ($2.7, ninth place) and Kong: Skull Island ($2.6, 10th place) both hanging onto relevance for another week. If Kong: Skull Island exits the Top 10 this week, it does so as a movie that’s grossed over $160 million domestically and $552 million worldwide, a number that was certainly far more impressive before The Fate of the Furious decided to take everyone to school.